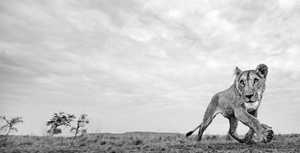 The Greatest Maasai Mara Photographer of the Year Exhibition. The best photographs from 2018's competition, promoting and conserving. Enjoy an evening safari soiree to view some of the most spectacular images of Africa you will ever see. Be transported to Kenya via extraordinary images showcasing the greatest game reserve in the world: the Maasai Mara in Kenya. The photographs are from an exciting competition, held for the first time in 2018 and judged by a world-class panel. The competition was designed to raise awareness of the Masai Mara as a destination, and funds for important conservation initiatives. The winners were announced in late December – Brisbane is lucky enough to be the second stop on a world tour showcasing these incredible images, and you’re invited. Tickets are limited and only $25. The entry price for the opening night event includes a welcome drink and light refreshments (a cash bar is also available on the night). You’ll also get to watch live sketching by local wildlife artist Cory Salmond, and of course browse through the gallery to see these stunning photographs. You can even bid on your favourite shot in live and silent auctions! PLUS we auction off a luxury 3 night stay at Angama Mara in the Maasai Mara region. Post the opening night the exhibition is open with no entry fee. For more on the exhibition, visit the Encompass Africa website. We look forward to seeing you there.